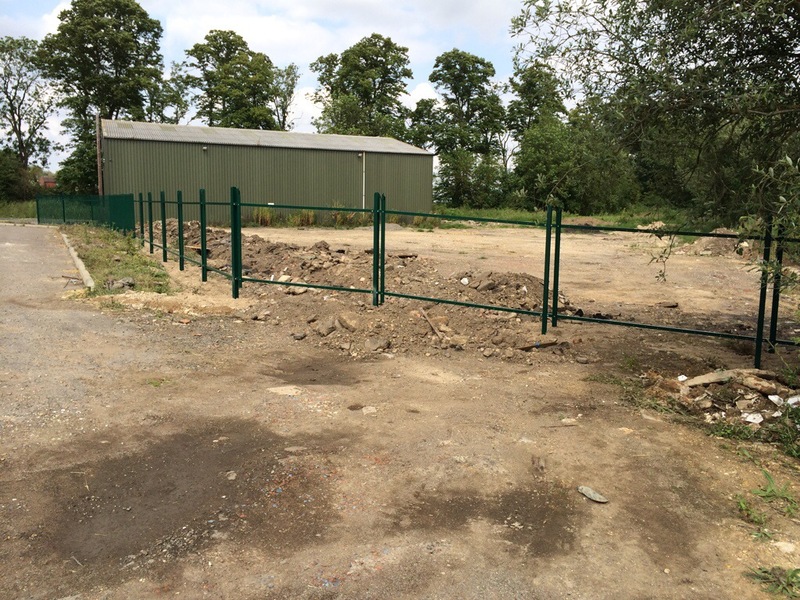 Cresslands News and Updates » Caravan proof fence! 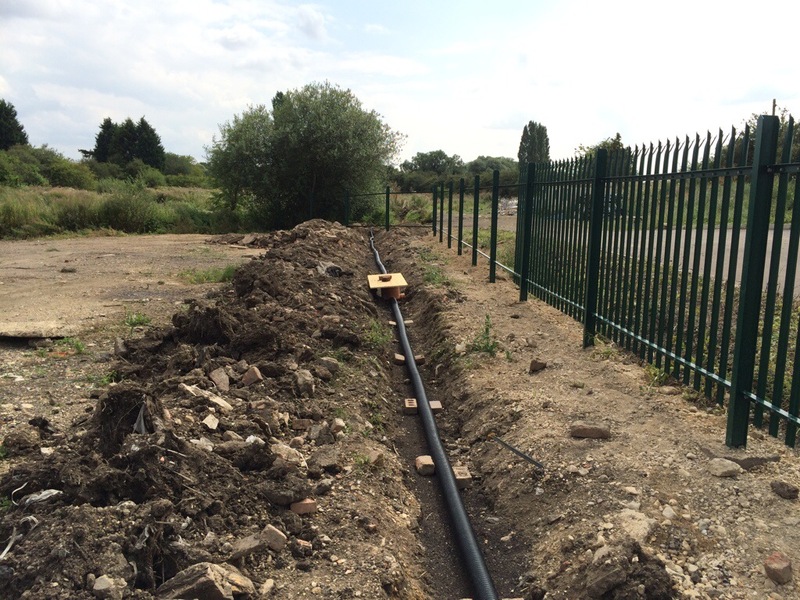 Working towards my September deadline for getting the external caravan storage yard completed; with the help of some top blokes, we set to putting the last 9 fence posts in and lay down the ducting ready for some electricity cables. 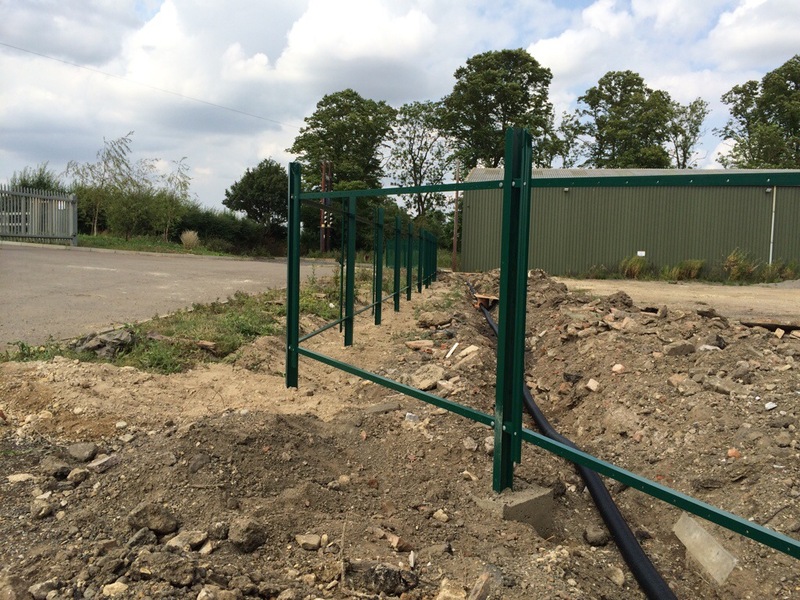 It only took 3 hours after we prepped the site the day before, to get the posts and bottom rails in yesterday. 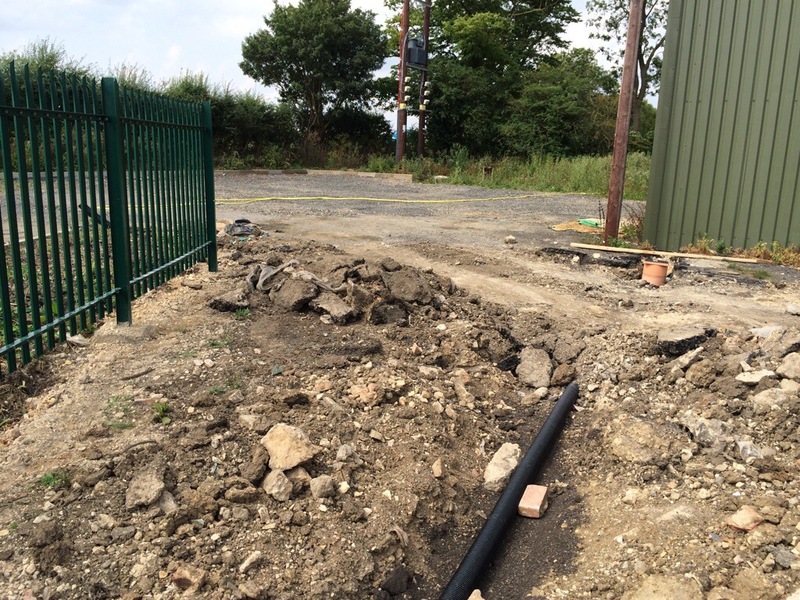 This morning the shuttering came off and we back filled the area to allow the posts to settle in. Wow its looking really good.